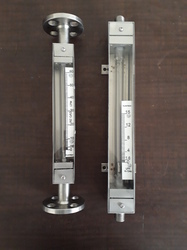 Offering you a complete choice of products which include tiny glass tube rotameter, low flow rotameter, low flow rotameters, principle rotameter, rotameters and air flow rotameter. This is made from solid Acrylic Block. Scale length is 100 mm. 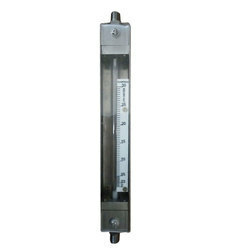 “FLOWTECH” Variable Area Flow Meters “TINY ROTAMETERS” are intended for general in line metering applications (i.e. 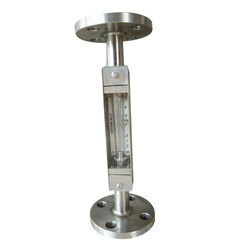 for Gas & Liquid) for low flow measurement and for purging applications. These are available in Acrylic Body Tube and Glass Tube design. These are working on the principle of Variable Area. The float moves freely up and down tapered Acrylic Body Tube OR Glass Tube with fluid flow from bottom to top. 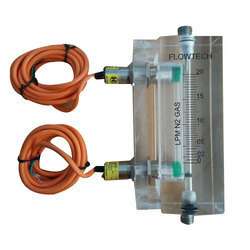 The float takes up a position where buoyancy forces and the float weight are balanced in proportion to flow rate. The Vertical position of the float as indicated by scale is the measure of the instantaneous flow rate. Float: SS 316L, SS 316, PTFE etc. Wetted Parts : SS 316L, SS 316, SS 304, PTFE etc. Pickings : Neoprene, PTFE etc. Accuracy : FMIPL-TGTRM 1-3 ±5%, FMIPL-TGTRM 4-7 ±3%, FMIPL- TGTRM 8-17 ±2% of full scale. Accuracy : +/- 5 % F.S.D. End Fitting : M.S., C.S., SS304, SS316, CF-8M, CF8, C.I. Pickings Type Neoprene, PTFE etc. Accuracy +/- 5 % F.S.D. 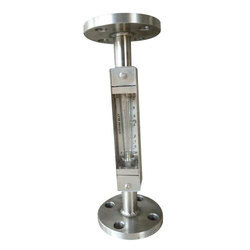 The offered Low Flow Rotameter are designed for the accurate measurement of rate of flow for liquids. This product from our side is examined on provisions of quality before its final supply to the clients. This one is manufactured with top grade of unfinished material, procured from the authentic sources of the market. 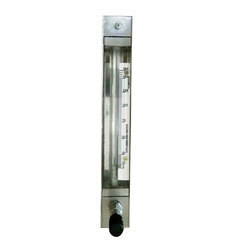 We offer this rota meter in diverse modified options according to the customer’s requisites and supply it in given time frame. Float : SS 316L, SS 316, PTFE etc.